Do the trails call out to you? Are you searching for adventure in the wilderness? 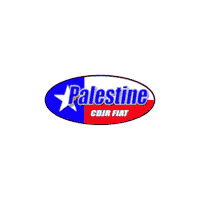 You need to see our team at Palestine Chrysler Dodge Jeep Ram Fiat today and take a look at the Jeep Wrangler. This SUV continues to offer the classic appeal you’ve known for years while entering a new generation. Most of all, the Wrangler continues to spell freedom for anyone who wants to enjoy fun on the trails. When you look at the Jeep Wrangler on our lot, you’re going to see a familiar face. That’s because it still carries the round headlights, seven-slot grille, and ride you want to enjoy when you head off-road. Get inside this SUV and check out the incredible technology offered that makes this an SUV that you can feel comfortable driving on and off the roads. We’ll take a test drive with you and let you feel how perfectly the Wrangler performs for you. We know you’re excited to get this vehicle home to Athens, TX so that you can get out on the trails and have a lot of fun. You might notice the new Wrangler looks and feels a bit different from models in the past. The curve of the grille is certainly one of the first things you’ll notice, but this SUV has more changes than that. This vehicle is longer, wider, and upgraded to give you more. There are now more engines to choose from with the classic Pentastar V6 still being offered. You’ll find a completely redesigned interior that allows you to be more comfortable when you drive this SUV. Often the changes an automaker gives you in a vehicle become a trade-off of capability for comfort. The Jeep Wrangler has been built with new stuff but without the trade-off. The new four-cylinder engine is attached to an eight-speed automatic transmission and it brings you more torque and a lower torque peak than the V6 that you’ve known for years. This means you’re going to have the capability you need when you take this SUV home with you to be the vehicle that stands for freedom from your daily Athens, TX routine as you go searching for adventure in the wilderness. You want a vehicle that can perform perfectly on the trails in the wilderness, then become your daily commuter. We want to make that a reality for you. Stop by and see our team at Palestine Chrysler Dodge Jeep Ram Fiat and choose the Jeep Wrangler that’s right for you today. This SUV is the classic vehicle with the modern qualities you want when you drive. We’ll make sure you can enjoy the drive and secure the affordable deal you need so that you can make the most of this amazing adventure vehicle.